Last Year: 15th with 8-16 record for 20 points. Sam ANDERSON, Liam AYOUB, Anthony CHERRINGTON, Cameron CIRALDO, Geoff DANIELA, Adam DOCKER, Tom EISENHUTH, Danny GALEA, Tom HUMBLE, Isaac JOHN, Jeremy LATIMORE, Mose MASOE, Kane MORGAN, Matt MOYLAN, Kyle O'DONNELL, Mosese PANGAI, Nigel PLUM, Travis ROBINSON, David SIMMONS, Blake SOUTH, Vaipuna TIA-KILIFI, Brad TIGHE. Bryce CARTWRIGHT, George JENNINGS, Kieran MOSS, James ROBERTS, Tony SATINI. Coote will be the five-eighth for at least the first couple of months and Whare will get a shot at the #1. Brown probably starts in the second row, Austin or John only get a shot if Walsh isn't fit in Round 1, while the bench could is wide open. 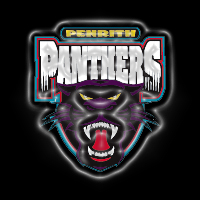 PEN: Whare, Mansour, Naiqama, Tighe, Simmons, Coote, Walsh/John/Austin, McKendry, Kingston, Grant, Brown, Newton, Smith. Bench: Segeyaro, Weston, Latimore, Manu. The kid everyone wants to see debut is second rower Vaipuna Tia-Kilifi but he has yet to feature in any of the trials and there is not a single word about his whereabouts from the Panthers. If he is still with the club - he's a player Cleary has to give a chance to play but the Panthers are stocked deluxe in the backrow, so even if he's healthy - he's no sure thing to get decent game time. If Cronulla was visiting Centrebet Stadium in 2013 - that would be the game easily, with Michael Gordon and Luke Lewis now Sharks. So the logical game to replace it is the season and home opener against Canberra on Sunday March 10 at 2pm. If Penrith are going to win back their fanbase with the Phil Gould/Cleary master plan - they need to perform in front of a big crowd in Round 1. Slim... about 8 other teams have to fall over for Penrith to get a sniff. They don't have the cattle to make the semis unless a number of squads struggle mightily in 2013. Cleary wants this to be a united squad after clearing out what he didn't want and this season remains more about building strong club foundations for 2014/2015 than featuring in September 2013. Nine or ten wins would be a handy platform to build on. 15th | Cleary has decided to move forward with increased depth over star power and that might keep them off the very bottom... just. 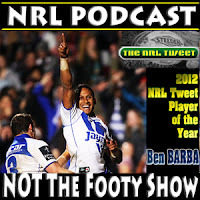 Can Lachlan Coote or Kevin Kingston take Ben Barba's mantle as the game's best player in the 2013 @NRLTweet Player of the Year Awards?